Nuvéderm Microderm GLO is providing the best microdermabrasion treatment at home. It effectively reduces the visibility of facial pores, diminishes the wrinkles and reenergizes the skin. 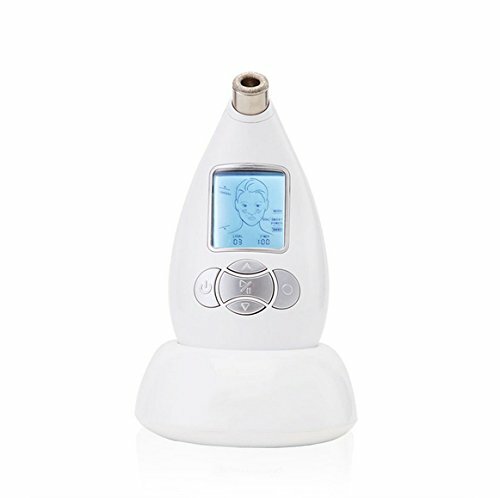 It contains the complete tools and accessories for microdermabrasion so order now for Amazon imported product in Pakistan and make your skin glowing and youthful. 🗓️ EFFECTIVE TREATMENTS ON YOUR SCHEDULE! - Gone are the days of spending thousands on in-office dermabrasion appointments. Transform your skin with only four minutes per treatment, once or twice per week, from the comforts of your own home. 🤗 BECAUSE YOU RE WORTH IT! - Discover Nuvéderm s® patented Diamond Density-Safe3DTM technology-engineered for salon-quality results and safe for all skin types including sensitive skin. Turn back the clock. 😍 RESTORE YOUR CONFIDENCE! - Imagine being able to erase years of aging, smooth out fine lines, wrinkles, blemishes, dark spots, visible pores and sun damage while smoothing and softening your skin.